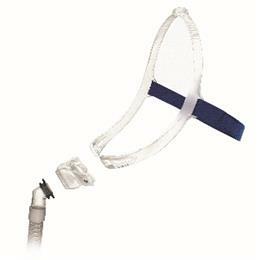 The Swift™ FX Nasal Pillows Mask delivers effective sleep apnea therapy in a lightweight, unobtrusive design. Minimal facial contact gives patients a sense of freedom during therapy, and the mask’s sleek silicon headgear doesn't impose on the way they look or feel. Designed with a simple three-piece construction, it's easy to fit, adjust and wear, making sleep apnea therapy less intimidating and easier to accept for patients.